When I was researching all things baby while pregnant, I came across something called Baby Led Weaning. Have you heard of it? In all my years of nannying I never had, although when I look back I think one of my families did something like it. Basically, BLW "is a method of adding complementary foods to a baby's diet of breastmilk. Baby-led weaning allows babies to control their solid food consumption by "self-feeding" from the very beginning of their experiences with food." So no mush baby food. The word "weaning" is a bit misleading as many think it's in regards to "substituting, limiting, or encouraging the weaning process" of breastfeeding but it's not. Breastfeeding will still be Benjamin's primary source of nourishment. Many people have shared their experiences with BLW as well as different recipes to offer your baby. I have many favorites pinned here. I especially love the post Baby Led Weaning: First Food Suggestions by The Diary of a First Child and refer to it often. One of my real life friends, Hanna, practices BLW with her daughter and is such an inspiration to me. 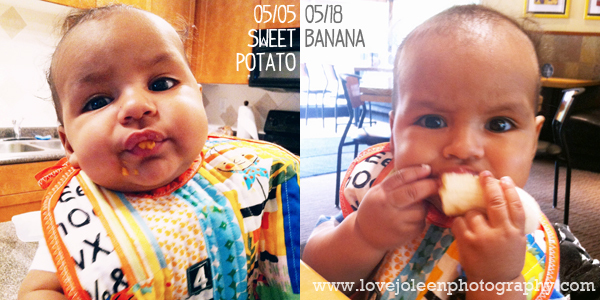 She shares her family recipes on her blog, Withloveforbaby, and is here today to share another yummy one with us! Welcome, Hanna! I went to the farmer's market today with nothing planned. I usually have a week's worth of meals ready and I'm able to be very organized. It's especially helpful to have something prepared because my family is trying this gluten free thing out while also limiting dairy. But nope, I had no idea what I was going to make this week. So there I was looking for chia seeds to put into my 10 month old's food and next to me a lady was looking through all the different varieties of quinoa. Now, I have had quinoa before but she was looking at an organic black variety. She also had a little munchkin with her so I went ahead and asked her how she prepared it and if she was giving it to her baby. She told me that she gave her kid whatever she ate (nice... me too!) and she told me to use a 2 to 1 ratio of liquid to dry quinoa. I thanked her and picked up a tub for us and started googling all things quinoa. Turns out it's a great food that is high in protein and fiber along with lots of other great nutritious vitamins! Score! 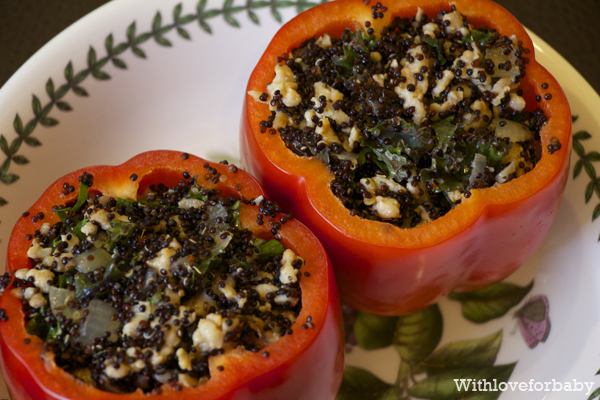 I came across a recipe from Guy Fieri where he used quinoa and peppers. I put my own spin on it and it was delicious, filling and packed with the good stuff! Preheat the oven to 425 degrees. Wash the peppers well and cut the tops off and carefully hollow each of them out. Set aside. 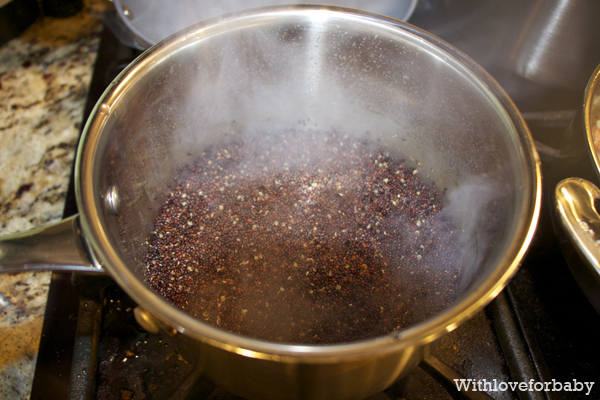 Pour the chicken broth into a sauce pan and once it comes to a boil, stir in the quinoa and set on low heat and cover. Cook the quinoa until it "pops" and all the liquid is gone. It should take about 20 minutes. Once done, fluff with a fork and set aside. 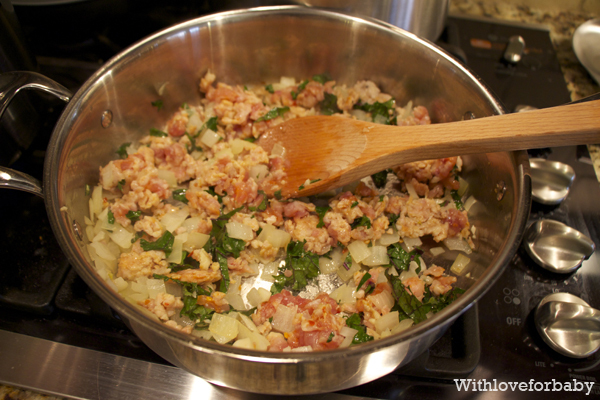 Heat a skillet with some oil and throw in the sausage, onion, garlic, kale and herbs. At this point you can add a dash of salt but I did not add any salt since the sausage itself had lots of flavor. Plus, the less sodium intake, the better right? Cook until the sausage and onions are done then turn off the heat. 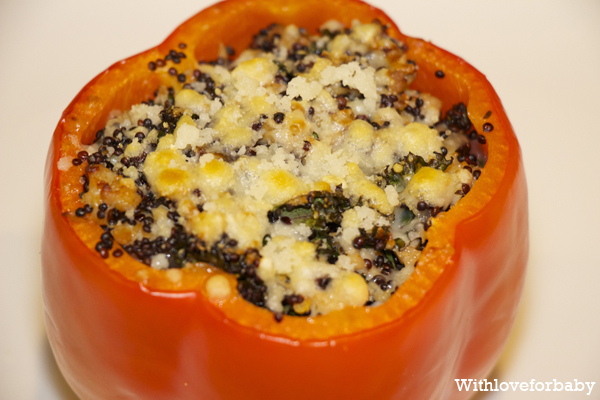 Fold in the quinoa and incorporate well. 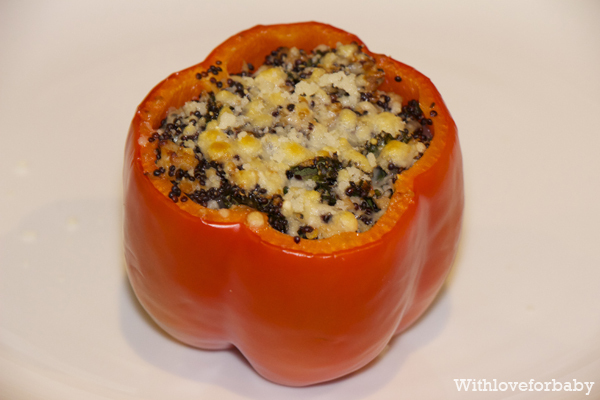 Stuff each pepper until almost full and sprinkle as much cheese as your heart desires. Bake for 15-20 minutes or until the pepper is a little soft then set on broil to brown the topping for a couple of minutes. Serve with a side of green beans sauteed in some garlic and you have a fantastic, healthy and nutritious meal! I am a Southern California native that moved to Alpharetta, Georgia 4 years ago. 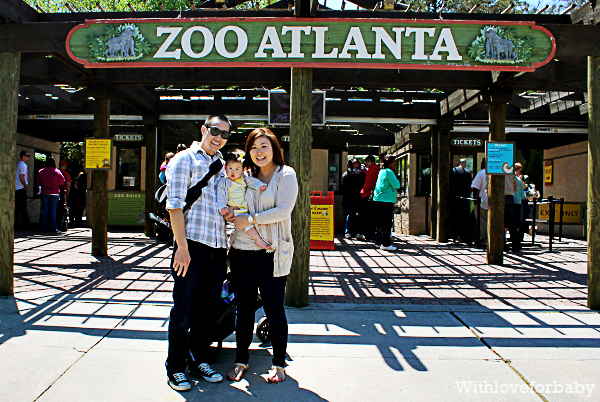 My husband and I love it here! We have a 10 month old who keeps us very busy now and is the most amazing blessing. I enjoy spending time with my family, cooking, snowboarding, shopping (of course!) and eating all sorts of delicious food from local restaurants. When I'm not at home, I am busy running my clothing and accessory boutique, Pinkheart. Life is busy but it's so incredibly fun and filled with so many blessings.